My Simple Gifts podcast won't be replacing anything here, but will be a companion piece... an additional way to share seasonal delights, what's happening, projects in progress, and much more. I'm just getting started with this, so there likely won't be a podcast every week... But I hope to serve up a little extra here again soon. And I would like to thank my lovely husband, TJ, for creating the music for my podcast, and his help making the whole thing possible--from idea, to reality! :) The wren song is a free soundclip by reinsamba. I've been wanting to expand my creative horizons a bit, and this was a fun way for TJ & I to collaborate on a project again! So lovely to see all that you've been up to and the success and progress in your projects. The handmade socks are looking great and your latest cardigan is a beautiful piece. I enjoyed the podcast. I'll have to try making the galette and the cherry-brandy! oh my goodness. isn't it interesting how just hearing a voice makes a person come alive to you! and you have a beautiful voice and diction! I just loved this podcast. first I listened to just the bird sounds. then I came to your blog and read it and then listened to your whole podcast. Tracy not to embarrass you... but it's just exquisite! you could have been reading a poem or a book of days from the Jane Austen (one of my favorites) period! I loved it. and yes. I hope you do more. I think they might become addictive for you and TJ (what a great way to share his beautiful mellow jazz) and for your audience! Ooooo! Cherries! You are making me so hungry for cherries! What an exciting adventure to go into “talkies” Tracy! Such a soothing voice! Great work on the music too. I wish our cherry tree was a pickable height. The birds are enjoying the huge crop this year. 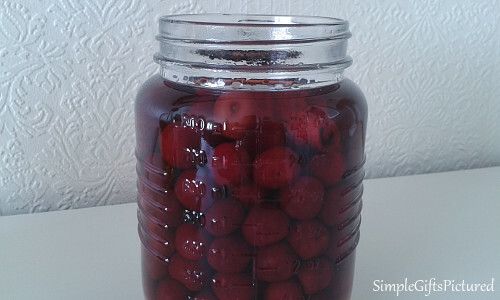 Cherry brandy will be a lovely Christmas treat in front of the fire. I think given how sparse some crops have been this year we need to preserve what we can. Prices will rise for staple items from what I’ve been reading. Thank you also for the poem. New to me! "talkies"...that's fun! Thanks, Melanie...glad you enjoyed! 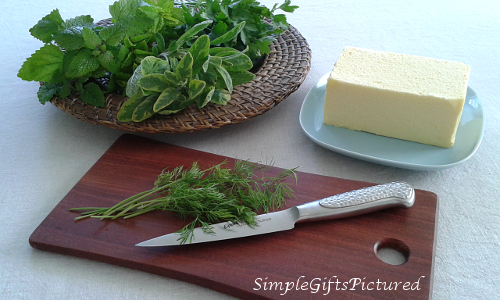 :) With the drought this year, we've tried to preserve everything we can from the garden. Everything feels extra precious this year! 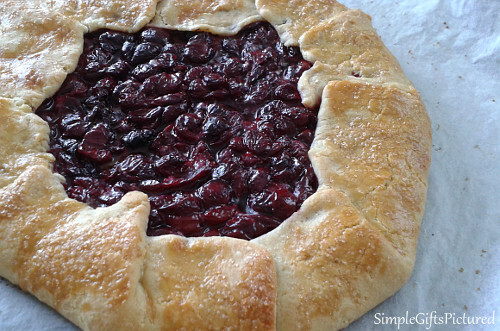 Oh those cherries looks so delicious and the Cherry Galette looks extra yummy. Cherry Brandy; I haven’t heard of before. I enjoyed all the photos of the delectable looking cherries. Wow, what a creative adventure to make a podcast; well done. I love that you will be doing these. Hearing your voice makes wanting to meet you even more. I will be looking forward to these podcast moments with you. I love that TJ is helping you with it all; perfect. 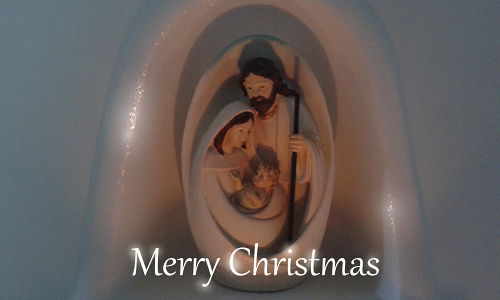 Sending loving thoughts and hugs your way and extra blessing for you all! Oh, Tracy! That is a most amazing podcast. You and TJ did a beautiful job. I loved, loved hear the birds and music and then your voice. What a gift you gave to us. I love anything cherry and your galette looks so delicious. I make American style pies or a clafoutis with cherries. Thank you for the love post. I must have eaten 20 pounds of cherries this summer, mostly by myself. 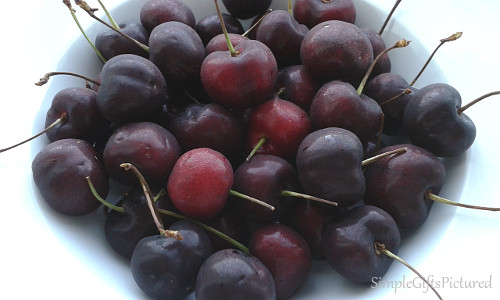 Black, sweet cherries. 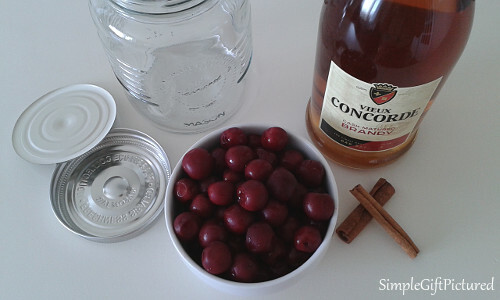 Now I'm wishing I had made cherry brandy while I was over indulging. Spread the joy. The galette looks delicious. I've never made one but should have. The cherry season is so short. 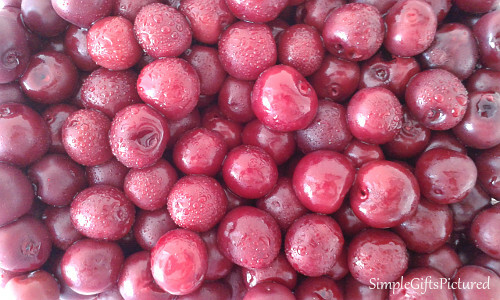 Apples seem to save well for a very long while but you have to get cherries while they are fresh. The cherry lady told me one could freeze them but they just aren't quite the same. But the brandy -- sigh! Alas, no favorite cherry recipe. I stuff them in my mouth too quickly to cook with them! Love the podcasts -- your voice is perfect for this and the music is a wonderful marriage of tone with message.